Florida is home to more than 150 hedge funds and private equity companies, but finding a private equity job often isn’t easy. Below is a list of the first 5 hedge funds and private equity companies from our FL Hedge Fund / PE List that are actively hiring. 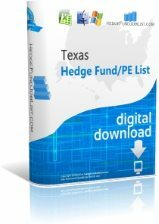 Currently there are at least 15 hedge funds or private equity firms hiring in Florida so be sure to download the list for the latest and most complete information. The above is just a partial list of hedge funds and private equity companies in Florida that are actively seeking new employees. For a complete list of private equity in Florida, including Miami, Palm Beach. Ft. Lauderdale, Tampa and more, please download our FL Hedge Fund / Private Equity List. This list contains more than 150 companies including 40 categories of information on each company as well as current hiring status. This list contains everything you need to know about each fund to submit your resume and cover letter including address, fax, emails, top executives and lots of detailed company information. If you’re looking for a private equity job in Florida our FL Hedge Fund / PE List is truly a crucial resource! Zone Ventures Management Company is a private equity company based in Los Angeles, CA and is led by its Managing Director, Frank Creer. Zone Ventures Management Company has 5 employees. The company was founded in 1998. Zon Capital Partners is a private equity company based in Princeton, NJ and is led by its Managing Partner, William Bridgers. Their primary investment strategy/sector is Technology. Z Capital Partners is a private equity company based in Lake Forest, IL and is led by its President and CEO, James J. Zenni. Z Capital Partners has $518.785915 million in assets under management and has 10 employees. York Street Capital Partners is a private equity company based in Bedminster, NJ and is led by its Managing Partner, Robert Golding. Their primary investment strategy/sector is Consumer Products. York Street Capital Partners has $212.886977 million in assets under management and has 12 employees. The company was founded in 2002.